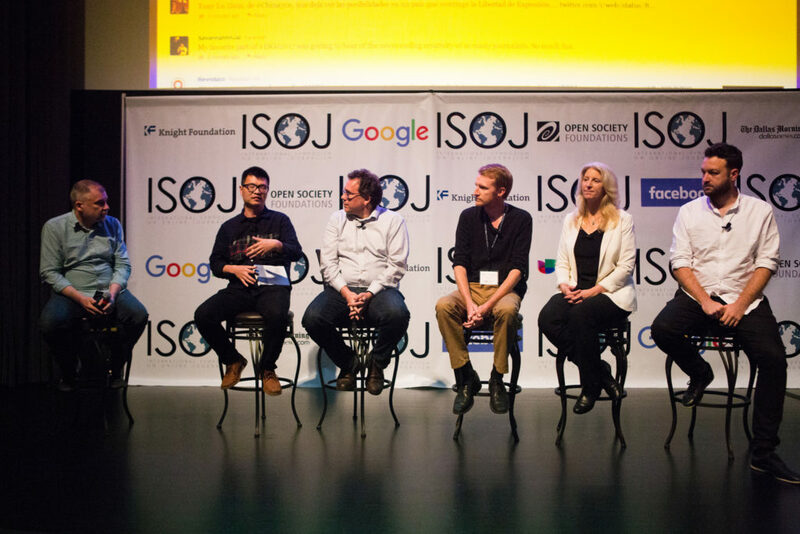 Watch video of the news startups panel discussion at ISOJ 2017. 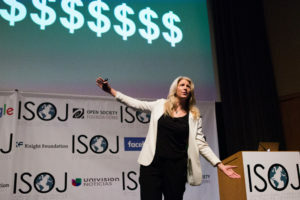 To close the 18th International Symposium on Online Journalism (ISOJ), journalists and researchers put news startups and sustainability at center stage. Aron Pilhofer, James B. Steele Chair in Journalism Innovation at Temple University, moderated the panel, “News startups and new business models: Innovation in the search of sustainability,” on April 22, 2017. 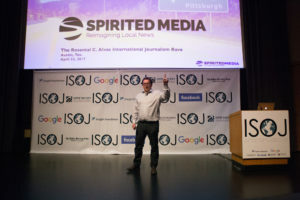 Jim Brady builds local sites aimed at ages 40 and younger as the founder and CEO of Spirited Media, which manages Philadelphia’s Billy Penn, The Incline in Pittsburgh and the Denverite in Denver, Colorado. The sites are designed and produced for mobile, and intentionally do not include pop up or pop under ads. Spirited Media’s news sites are focused on helping consumers keep up with local news by bringing local stories to their home page that may be of the reader’s interest, regardless of which news site originally wrote the article. Building a deep relationship with consumers both online and offline is very important to Brady, who hosts events aimed at developing these connections in order to foster revenue growth. Most of the startup’s revenue comes from events like a movie night, which serve as an opportunity to build relationships and encourage donations from consumers. Brady’s emphasis on these relationships is influenced by a Harris Interactive study, which found that 78 percent of millennials would choose to spend money on a desirable experience or event over buying something desirable. Tom Grundy, editor-in-chief of the Hong Kong Free Press, faces a tougher reality than most journalists. The Hong Kong Free Press was founded in 2015 as a direct response to press freedom issues in the autonomous city and has been a hub for press freedom since. It is independent, non-profit and produces content in English to fill the gap between English and Chinese journalism. They have raised revenue through crowdfunding, often receiving up to $70,000 in each campaign. They have quickly put out the largest crowdfunding campaigns in the city and produce an annual transparency report so supporters know exactly how their donations are used. Juan Luis Sánchez, deputy director of ElDiario.es in Spain, began four years ago in a tiny apartment designing his product and building a community, all with the mission to fill what he identified as a credibility gap in Spain. He started with no investors or a loan, but with donations from friends and family. Today, ElDiario.es is staffed by more than 70 people, has become the second most read pure digital news outlet in Spain and is a major defender of political and social rights. Sánchez has made this possible through the support of “socios,” or partners, who don’t pay to read the news, rather, for the news to be spread. Today, they have more than 20,000 partners. Sánchez is looking to go a step further by launching membership based projects to supplement the socio model and increase support for the news site. Janine Warner, IFCJ Knight Fellow and executive director of SembraMedia, has been studying different news sites since her organization launched a year and a half ago. SembraMedia studied 600 sites and created a media directory, published in English and Spanish, that users can filter by country. Some research findings show these were just not new media, and they started in the mid-1990s as digital natives, and that more than half have been operating for four years or more. Perhaps even more fascinating, emphasized Warner, is that 60 percent of the sites were created by women. However, representation still remains an issue in society, as less than 1 percent of all traditional media in Mexico are led by women. And that is exactly what some women have been doing. Elaine Díaz, a journalist in Cuba, created her own digital media site with the WiFi signal she receives from a nearby public park. Cuba still is a country with one of the highest levels of press censorship in the world. The SembraMedia study found that nearly all founders’ primary motivation was creating a new media site to serve as an independent voice in their country. Tony Li Zixin, founder and CEO of China30s.com, recognized that journalism was dying in China. Zixin created China30s.com as an independent platform to have people tell their own stories. 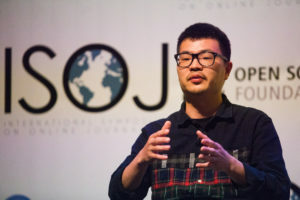 “The traditional boundary of journalism has disappeared,” Zixin said. That’s why his business model revolves around teaching users journalistic techniques so that they themselves generate the content. To watch video of this panel and all others at ISOJ, visit Facebook or YouTube. Raw video is available at isoj.org.